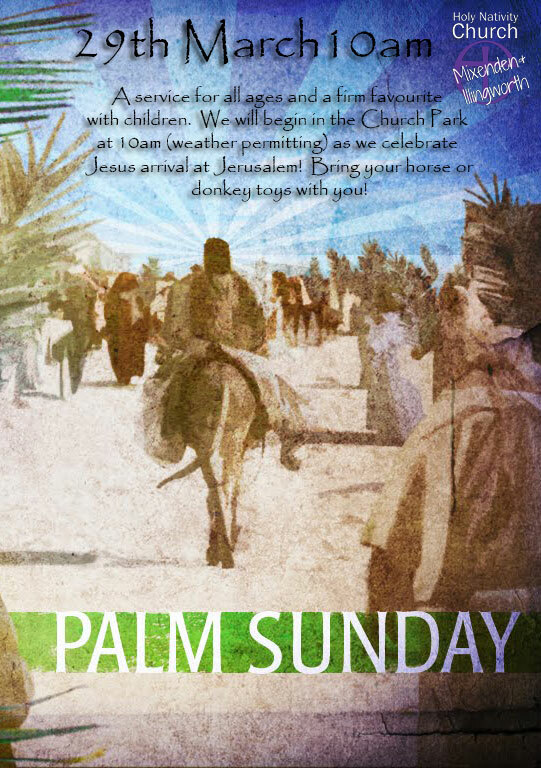 Palm Sunday marks the beginning of Holy Week as the church celebrates Jesus’ entrance into Jerusalem! We gather with the expectant crowds of 2000 years ago awaiting the coming messiah! Everyone is welcome to come as we sing songs old and new to mark the occasion! This service is especially popular with children so why not bring any horse or Donkey toys along with you?